Why does this shirt cost what it does? This shirt costs what it does for many good reasons! The first good reason is because this design is intricate and complex and it was not easy finding a printer willing to produce this design for my company. This shirt is made in the USA, thus making the cost a bit higher to begin with, but this shirt was made with a degree of social responsibility that the clothing sold in box mart lacks. We at Quantum Cat Designs are committed to providing work for Americans and proudly supporting American industry even if it is not the most expedient thing to do. We also insist on using 100% cotton when printing our shirts and we go the extra mile and make sure that our own artistically unique label is printed on the back of the collar on all our shirts. We lean in the perfectionist direction when producing our shirts. 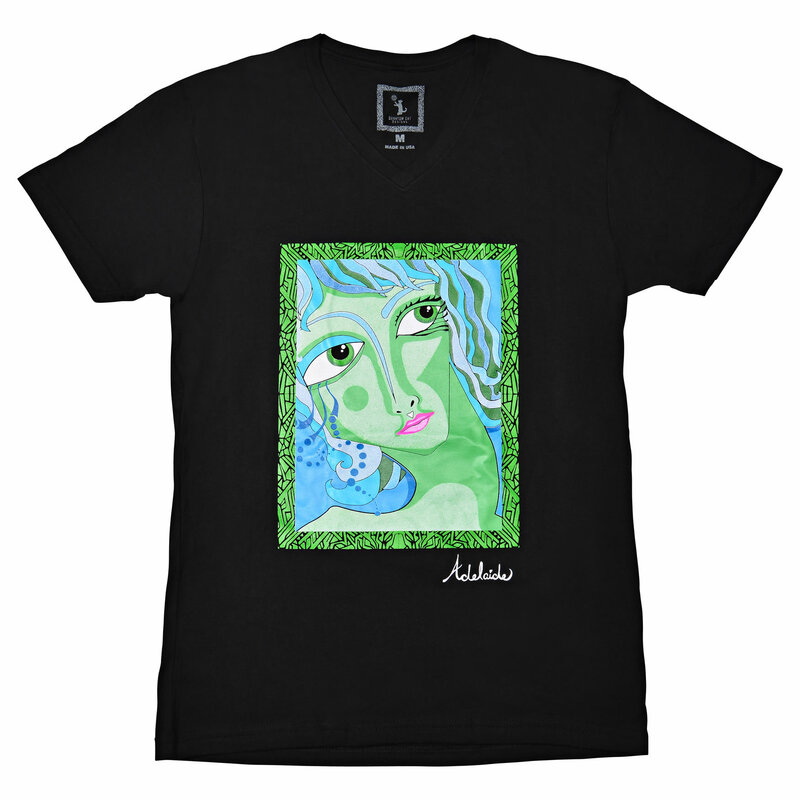 This design is based on an older original painting by San Diego artist Adelaide Marcus. 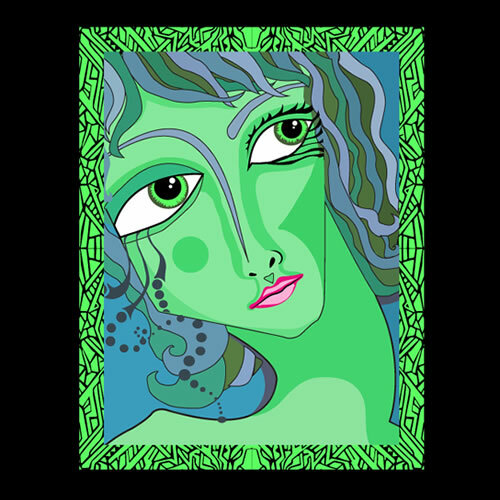 This design was an instant favorite of mine, and when I first laid my eyes on this painting I imagined stylish women proudly wearing this design against a black background shirt while walking in the most stylish of shopping centers and trendy restaurants. This shirt is a definite show stopper. Make a statement with this design.